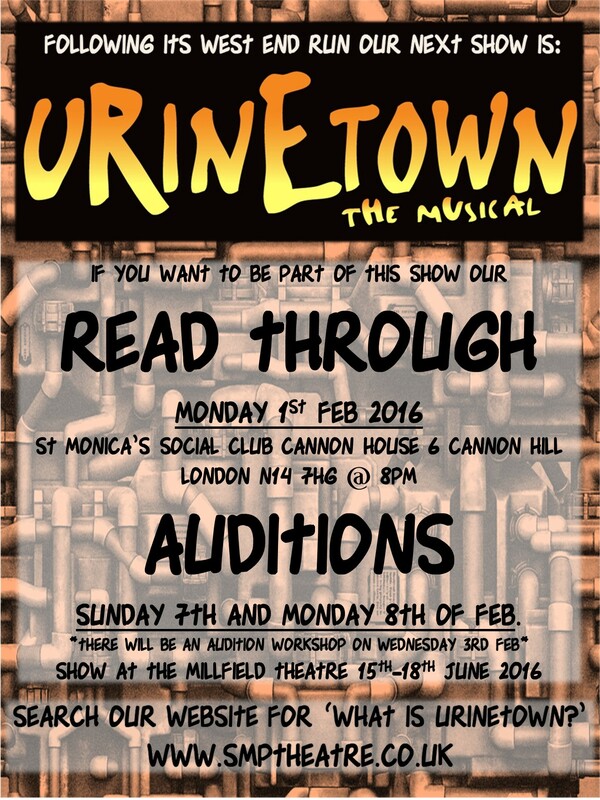 Urinetown – Read Through and Auditions. 12th November 2015 12th November 2015 admin What is Urinetown? On the night our production team Director, Warren McWilliams, Choreographer, Jo Bakhurst and Musical Director, Mike Benyon, will talk you through their plans for Urinetown. We’ll also read throught he script and talk through auditon pieces. There will be an audition workshop on Wednesday 3rd Feb for anyone wishing to ask for help and auditions will be held at the same venue on the 7th and 8th of Feb.
We hope to see you at the read through!